I’m Eva, I’m a freelance photographer, I love to dance and to laugh and beginning of May 2018 I was diagnosed with a tumor! More precisely a diffuse large B-Cell Lymphoma. Very fast growing, but also good to treat. I’m a really positve person and that’s exactly how I handle my disease. Of course it’s not always easy for me, that’s why I was looking for other patients on the internet, who are thinking positive and maybe sometimes even make jokes about their illness. But most of the content was really negative, that’s why I decided to do something about it. On this blog you will NOT read the things you’d expect. I promise!  Therefore I will tell you what it’s really like to have cancer (ooops I said the c-word), with a lot of irony, sarcasm and humor. I will tell you about weird reactions from other people, genius advices (Caution: irony!) and positive things about being bald. From time to time I will give you a short medical update, but this blog is really no diary. I rather hope to make some people laugh or smile with my articles. And who knows, maybe it’ll even help somebody. Maybe you are also sickened and looking for motivation and positive thoughts. Or you are not sure how to treat cancer (ooops, said it again!) patients. Then maybe my words will help you to be more empathic. Eventually my goal is to be honest about this disease and show you that the way we look at cancer is wrong. Cancer should not be a taboo issue anymore, to which people react with desperate sadness and crying. Don’t geht me wrong, compassion is nice! But people with cancer like to laugh too.